Though very few online casinos offer PayPal as one of their deposit modes to fund your casino account to play real money slots, still this question is asked by many gamers if they do find a PayPal Casino. Players always are concerned for the fees using PayPal at online casinos so here find the answer to this concerned query and clear your doubts. To play at online casino and make a deposit with PayPal at the casino to play real money slots in Canadian dollars you need to have a PayPal account. This is free and PayPal does not charge a fee to open a PayPal account. 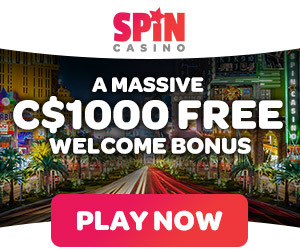 If you wish to send money to your friends or family or to the online casino to play slots again there are no fees within Canada to send money when you use only your PayPal balance or bank account, or a combination of your PayPal balance and bank account. But there is a fee to send money as a personal payment using a debit card or credit card. The fee in Canada is 2.9% plus $0.30 CAD of the amount you send. For example, if you send $100.00 CAD by credit card, the fee would be $3.20 CAD ($2.90 + $0.30). So as there are no fees to deposit through the payment system, note that most casinos who accept PayPal are happy to cover the fees their end. Of course, this is always worth double checking so you can be sure, because different casinos do have different policies. However, when a casino offers PayPal, it’s generally a sign that they want to encourage customers to sign up and deposit through this payment method. As a result, you are unlikely to get charged for either deposits or withdrawals through the payment system. One thing to be aware of is that you might have to absorb some fees in terms of receiving your withdrawals through PayPal, in the usual way. Depending on your account type, they take a percentage of every in-bound transaction, so you’re left with a slightly smaller net amount. But you won’t be too bothered by that when it’s time to withdraw your jackpot winnings. Note it is free to receive money from friends or family in Canada when they send the money from the PayPal website using only their PayPal balance or their bank account, or a combination of their PayPal balance and bank account. Also there’s no fee to use PayPal to purchase goods or services. However, if you receive money for goods or services (such as from selling an item on eBay), the fee for each transaction is 2.9% plus $0.30 CAD of the amount you receive. But there is a fee when you send a payment to someone in another country or if you receive a payment from someone in another country. Withdrawing through PayPal is usually as simple as it is to deposit. However, it’s important to be aware that not all casinos that allow PayPal deposits will also be setup to process withdrawals. It’s worth checking out the individual policy of every casino before deciding where to play otherwise, you may have to settle for an alternative payment method when it comes time to withdraw. In those casinos that do support PayPal withdrawals, you typically find these are amongst the fastest payouts available. You’ll still have to go through in terms of identity verification and processing – but once that’s all complete, you should have your payment processed in just a couple of days, and once the money has been sent, it’s instantly yours to withdraw from the system. Depending on the age and standing of your account, withdrawing this money to your bank account can be instant, or it can take a couple of hours, or even up to 72 hours further from here. Rest assured that the more you use your account, the quicker your withdrawals from PayPal to your bank account will be in future, and after just a few transactions, you should be looking at instant payment withdrawals from your account. Finally remember that there are few PayPal casinos because Paypal has their own restrictive terms in place, designed to limit how widely their service can be used by online casinos and gambling services. This is often down to the laws in specific countries, including some express restrictions on payment processors and banks from handling gambling transactions in some territories. Indeed, there are obligations on PayPal to ensure that any casinos they do work with are safe and above board, and this is in part responsible for their approach to working with only a select number of casinos. The most common reasons PayPal isn’t accepted come down to the countries of origin, either for the players, or for the casino operators concerned. This is unlikely to change any time soon, but it does mean that those casinos that can offer PayPal can distinguish themselves from the pack. This shows that when you do see a PayPal casino it is going to be fair, legitimate and honest with you and your money. ← Can I buy Bitcoins with PayPal in Canada?